Many lawyers work very hard and take on hefty responsibilities that often have major consequences for clients. The demands that flow from this privilege can mount and threaten our well-being. When we ignore signs of distress, the quality of our work and lives can plummet. This Toolkit is designed to help lawyers and legal employers improve well-being holistically and systemically. 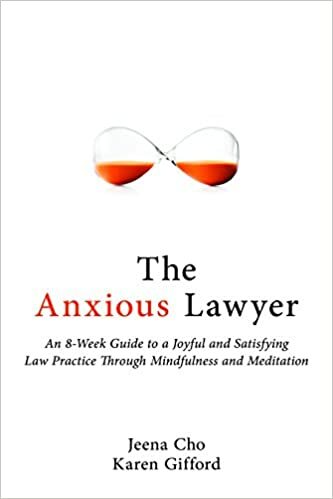 This Toolkit is primarily designed for use by lawyers and legal employers to enhance individual and workplace well-being. It offers a variety of suggestions, keeping in mind that needs and resources vary widely. Access the toolkit by clicking here. This Report of the National Task Force on Lawyer Well-Being serves the vital role of bringing conversations about substance use and mental health in the legal profession out in the open. It offers recommendations around five core steps intended to build a more sustainable culture. Click here to read this in-depth report. 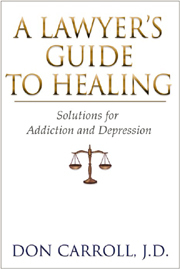 This 2016 study queried almost 13,000 licensed, employed attorneys, assessing alcohol use, drug use, and symptoms of depression, anxiety, and stress. Its conclusions: Attorneys experience problematic drinking that is hazardous, harmful, or otherwise consistent with alcohol use disorders at a higher rate than other professional populations. Mental health distress is also significant. These data underscore the need for greater resources for lawyer assistance programs, and also the expansion of available attorney-specific prevention and treatment interventions. Click here to read the study. The ABA Commission on Lawyer Assistance Programs (CoLAP) has produced a podcast series about overcoming substance use disorders, mental health issues and addiction. The lawyers featured in this series have all agreed to tell their story in the hope that it will reduce the stigma surrounding these issues and encourage others to get the help they need. Click here to access all available episodes. Law Lifeline launched in late summer 2012, is an anonymous, confidential online resource for virtually every law student in the country that provides general information regarding mental health issues as well as specific resources and services available to students in their communities. Additionally, LawLifeline offers an online diagnostic screening tool for students to use to determine whether they or their friends are experiencing symptoms of a mental health disease or disorder. 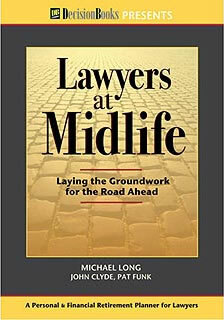 Lawyers at Midlife: Laying the Groundwork for the Road Ahead.